Human rights activists around the world celebrated the recent release from prison of two union leaders in Kazakhstan who were convicted of bogus criminal charges after participating in a peaceful workers’ protest against the forced closure of the country’s main independent union group, the Confederation of Independent Trade Unions of Kazakhstan (CITUK/KNPRK). Yet the convictions of Amin Yeleusinov, Nurbek Kushakbayev and 30 other workers who took part in the rally have not been overturned, and trade union freedom there has been curtailed. The anti-worker environment in Kazakhstan is not unique. Around the world, a pattern of attacks against freedom of assembly and collective bargaining is increasing even in countries with strong democracies within a broader clampdown on human rights and restrictions on civic space. “Democratic organizing of workers is suppressed and all the democratic spaces to organize are shrinking. Thus, workers are unable to bargain collectively for their fair and just share and to sustain the present unjust economic order,” says Sanjiv Pandita, regional representative for Solidar Suisse in Hong Kong, Special Administrative Region of China in an email. Worker rights often are the most frequently violated. Broadly, more than 3.2 billion people live in countries in which “civic space” is either closed or repressed. Few countries—16 of 134 countries with verified data—are genuinely open, according to CIVICUS, a global civil society alliance that includes the Solidarity Center. One recent study concluded that since the end of 2017, one-third of the world’s population—2.5 billion people—have lived through “autocratization,” in which a leader or group of leaders began to limit democratic attributes and to rule more unilaterally. Within this global crackdown on human rights, worker rights often are the most frequently violated. In most countries, unions provide the largest civil space for exercising fundamental human rights freedoms and building democratic societies. The Global Rights Index 2018 compiled by the International Trade Union Confederation (ITUC) points to increased restrictions on the right to form unions: 65 percent of countries now exclude some workers from the right to establish or join a trade union, an increase from 60 percent in 2017. The report finds the number of countries where workers were arrested and detained increased from 44 in 2016 to 59 in 2017. Last year, trade unionists were murdered in nine countries: Brazil, China, Colombia, Guatemala, Guinea, Mexico, Niger, Nigeria and Tanzania. In 2017 alone, instances of repression or attacks against workers seeking to form unions, bargain collectively or rally for their rights ranged from harassment to murder. A Mobile Riot Squad used anti-riot tanks, stun bombs, water jets and tear gas against teachers rallying in Bogotá, Colombia, for adequate wages and school funding. In Saudi Arabia, 49 former workers of the BinLadin Group were sentenced to 300 lashes and up to four months in prison for demanding unpaid wages. 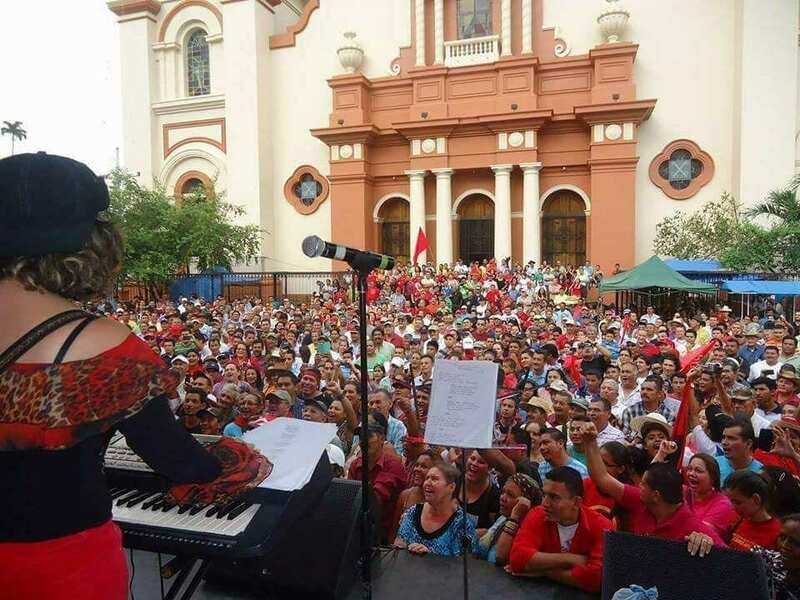 Increased attacks and threats against trade unionists in Honduras included attempted kidnappings and death threats against union leaders in the public sector and agricultural sector. In South Africa, 1,500 workers were summarily dismissed after staging a strike at Sibanye’s Cooke mine. The report detailed the many mechanisms by which worker rights are curtailed, including outright bans on all legitimate unions, such as those in Saudi Arabia and the United Arab Emirates. Countries also use laws to repress trade union and civil society freedom of association rights such as in Brazil, which passed laws that denied workers freedom of association, restricted free speech and used the military to suppress labor disputes. Laws that restrict bargaining topics, including wages, hamper assembly and association rights because workers are more reluctant to risk organizing when potential gains are so few, the report says. Even in countries where the right to strike is not legally prohibited, governments attempt to justify restrictions by citing the need for public security, the threat of terrorism, national interest or economic crisis. Many countries have ratified International Labor Organization (ILO) conventions that protect the freedom to form unions, strike and bargain collectively, and the notion that states create conditions that allow trade unionism among workers is implicit in the UN International Covenant on Economic, Social and Cultural Rights. Yet these international regulations and national laws with similar protections often are not followed. Shrinking civic space for workers and their unions parallels a meteoric rise in global economic inequality. Seven out of 10 people live in a country where inequality is growing fast. The growing ranks of millionaires and billionaires now hold nearly half of global personal wealth, up from slightly less than 45 percent in 2012, according to a new report. The concentration of wealth and power can combine to limit average citizens’ influence on politics and policy. Economic inequality and civic space are intricately connected. 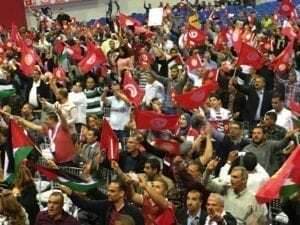 Tunisians still chant—and seek—“Bread, freedom, and social justice,” the slogan coined during the 2011 Arab uprising in which hundreds of thousands of people in countries throughout the region demanded economic justice and democratic freedom. “The world has never been so unequal any time in modern history, and workers organizations and collective bargaining are the democratic control on capital that is being crushed systematically to maintain this order,” says Pandita. Studies show that unequal economies reinforce distrust in government and threaten democracy. Addressing economic inequality means ensuring worker rights are strengthened. And strong worker rights are the underpinning to vibrant democracy. “The freedoms of speech, assembly and association are the essence of any democracy,” says Barbara Unmüßig, president of the Heinrich Böll Foundation. “Their restriction poses a challenge to democratic governments and global cooperation. “This issue must become part of foreign and development policy as well as human rights discussions, taken up by national parliaments and integrated globally into intergovernmental discussions and negotiations,” says Unmüßig. “Democracy and human rights, like freedom of association, create equality in front of power, even the playing field and unleash the innovation of citizens that governments need to govern well,” says Solidarity Center Executive Director Shawna Bader-Blau. Freedom of assembly, association, and speech are anchored in the 1948 Universal Declaration of Human Rights, and long established in international law and many national constitutions. By working to ensure workers have the freedom to exercise their rights, unions and the workers they represent, accompanied by human rights champions around the world, are the strongest and most effective solutions to the ongoing crisis of closing space choking democracies worldwide. “In the past 50 years, so many major transitions to democracy have had social movements front and center,” says Bader-Blau.